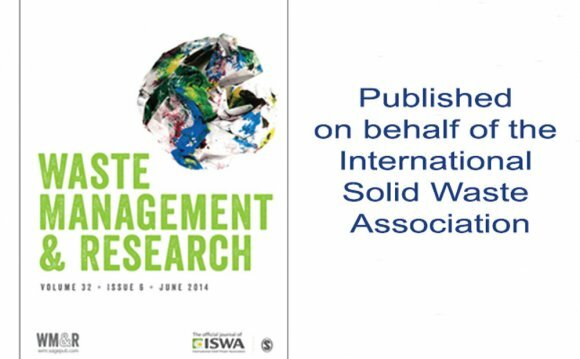 An article published in Waste Management has won the Elsevier Atlas Award. Each month Atlas showcases research that can (or already has) significantly impact people's lives around the world in the hope that bringing wider attention to this research will go some way to ensuring its successful implementation. The winning research is presented alongside interviews, expert opinions, multimedia and much more on the Atlas website. No quick fixes for world's solid waste management crisisAs the world population, economy and consumption grow, a complex and multi-dimensional approach is needed to manage a rising tide of solid waste. Waste management involves many players and communication among them is key. Financial resources are required to obtain the skilled personnel, infrastructure, and equipment needed to implement waste management plans. Decision makers must be well informed with access to reliable data. Universities and research centers have an important role to play in preparing professionals and technicians with expertise in waste management. Ultimately, the challenge is to move waste from one place to another and to address the many factors along the way that influence and potentially interrupt that flow. The awareness and involvement of citizens is an especially critical part of the equation. Enver Masud is founder and CEO of The Wisdom Fund, and the recipient of the 2002 Gold Award from the Human Rights Foundation for his book The War on Islam. He is also a co-author of Islam: Opposing Viewpoints, and 9/11 and American Empire.